I have been so pleased with the quality of books I’ve come across so far this year! 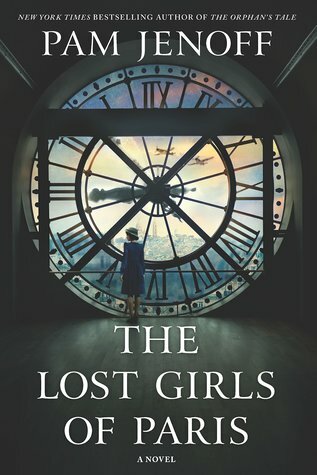 The Lost Girls of Paris is a truly spectacular read that had me hooked right from the very beginning. The entirety of this story unfolds thanks to a mistake, a moment of impulse that leads Grace Healy on a search to uncover the truth of what happened to a dozen brave and selfless women during WWII. It is less than a year since the end of the war and with memories still fresh and trails still relatively fresh, Grace has leads she can follow and a strong desire to do so. What Grace doesn’t know is the can of worms she’s going to bust wide open when she uncovers the truth. Grace’s search leads her to the world of one Eleanor Trigg, a most unusual woman who has risen rather high in the ranks related to the war against Hitler. Eleanor is calm, controlled, calculating, and trusted implicitly by her commanding officer, so much so that he authorizes her founding of a training program for female spies. What’s more, Eleanor is in full control of the program from recruiting to deployment; the women are Eleanor’s responsibility and she takes her responsibilities quite seriously. Under Eleanor’s strict instruction her women are trained as radio operators meant to infiltrate occupied France and help disrupt any all plans associated with Hitler and the Nazi regime. Eleanor’s women are meant to blend in with the locals and when they are safely able to radio back information to London so the Allies can act accordingly. For a time, Eleanor’s women and their work allows London to plan, prepare, and execute some serious damage, but as the saying goes, all good things must come to an end and in the case of Eleanor’s women, the end is startingly awful. As Grace continues to dig into the fate of Eleanor Trigg and her women, she discovers truths that many would prefer never come to light. The fate of Eleanor and her women wasn’t just a tragedy, but likely a homegrown plan meant to sacrifice a few in order to save many. What’s more, because of the time and the place, tracing the fate of each individual woman is going to virtually impossible meaning their families will never know what they sacrificed to bring evil down.